Ooh Ooh I wanna start one! congrats on starting the new thread. Anyone have a pic of that fat Steelers chick - giving the ol' bang, bang finn(g)ers? Let do some Than-Cow Photochops for Patrice!!! I couldnt get online this morning to get it started! Uh umm like where are the photoshops? Come on people be photoshoping! Cage, I thought the same thing, and expected to see a PS from you. Ok lads, this is my very first attempt at photoshop. The lucky gentleman in the picture is my boss, and as soon as my photoshop skills are perfected it will be distributed throught my office. So any tips, or comments from any of you photoshop pros are more than welcome. obviously im a crappy paint person but i have fun screen capping steve in the morning damn it!! repost, put it at the end of the last thread. 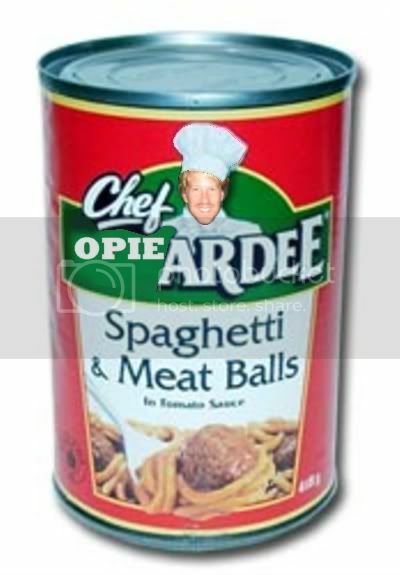 At the end of a hard working day Opie enjoy's nothing more then a hot bowl of his own meaty balls. Anybody else see this?...Thanks for the props Ant. 2020 video of Jimmy here,incase you missed it.